This animated model is a replica of Pentel’s click pen ref. BL107-F (“EnerGel” orange, ball diameter 0.7 mm). 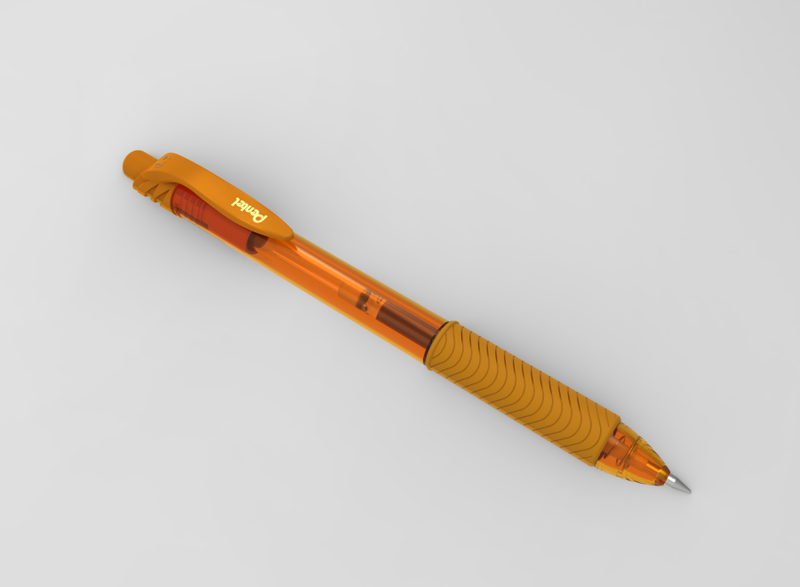 I have entirely designed the pen with SpaceClaim 2015 (CAD software) using only a calliper to measure the dimensions. I have then extracted an OBJ file to animate the model in Blender 2.76. Final job (PBR rendering) was completed in Sketchfab . The spring deformation was performed using Shape Keys. Additional construction files (.scdoc files, SpaceClaim 2015) are available on GrabCAD.